National Novel Writing Month (NANOWRIMO) is just around the corner—a yearly event in which writers commit to completing a 50,000 word (or more) novel during the month of November. One month. One book. Not a lot of time. So, time as a story element seems like an appropriate blog topic. Clock time: Sets mood and creates suspense. Calendar time: Creates a context for events, such as prom, homecoming, and graduation. Seasonal time: Creates atmosphere, as well as providing a backdrop and reason for cultural events and activities. 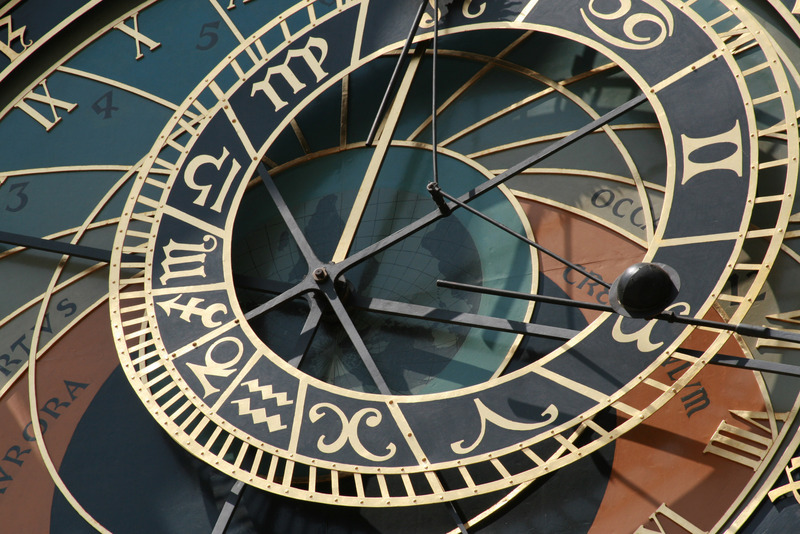 Historical time: Establishes a context for social ideas, behaviors, and attitudes. These elements can be combined, as you’ll see in the following examples. Calendar and seasonal time are a natural combination. A season is technically three months long, allowing the story to unfold during time. 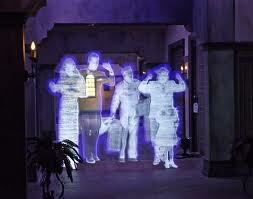 Seasonal time can be used to set atmosphere and integrate events particular to the season to further the story. 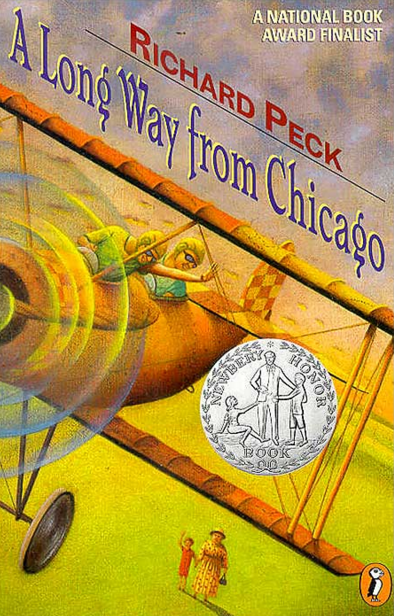 One great example is A Long Way From Chicago by Richard Peck. The story begins in the fall, with a Halloween outhouse scene that is laugh-out-loud hilarious, while also adding depth to the characters. Seasonal events can also introduce urgency that influence characters’ actions. The movie Home Alone is a perfect example. 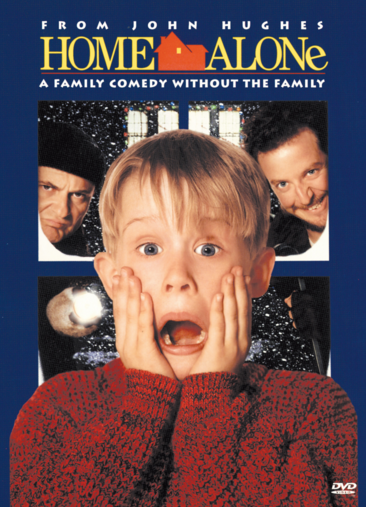 When a young boy is accidentally left behind at Christmas–while the family travels to Paris–he is forced to defend their house against burglars, with side-splittingly funny results. You don’t really know a person until you see how they react under extreme pressure. Which is why a ticking clock—a figurative pressure cooker—is a great way to reveal character strengths and flaws. The ticking-clock can be combined with seasonal time. The Christmas party setting in the movie Die Hard is the perfect excuse for the entire company to be at the office headquarters at night with minimal security. 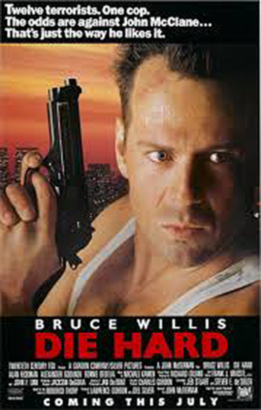 It also provides a reason for NYC cop John McClane (Bruce Willis)–the estranged husband of a corporate VP, Holly McClane–to be visiting, so he can then take down the bad guys in badass style. In the movie Back to the Future, time is both an advocate and adversary. Time is the vehicle (no pun intended) by which teenager Marty McFly (Michael J. Fox) travels back into the past to alter the developmental paths of his parents to create a better future for the family. The ticking-clock is the electrical storm required for Marty to escape the past and get back to the future. As the electrical storm gathers, Marty arrives at the clock tower as a falling branch disconnects the wire from the tower to the street. As Marty races the DeLorean toward the clock tower, Doc climbs across the clock to reconnect the cable. The lightning strikes, sending Marty back to 1985, but not before he sees Doc killed. Marty soon discovers Doc actually survived because of the bullet-proof vest he was wearing. 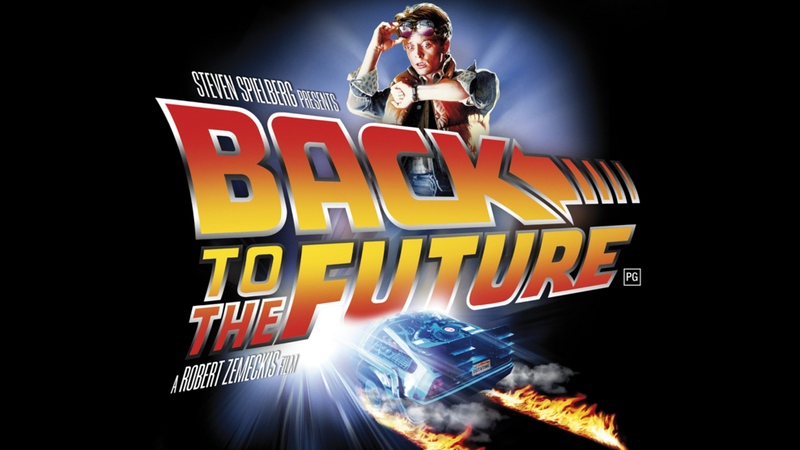 Doc takes Marty home to 1985, then sets off for October 21, 2015 (Back to the Future Day!). Historical time can define setting, social interactions, attitudes, laws, and mores. There are any number of terrific novels that transport the reader to a different historic time to experience life in another era. What I like about Margaret Haddix‘s Missing series, is the unique spin on historical fiction with a time travel twist. In Found, the first book in the series, Haddix establishes the plausibility of time travel and the anticipation that the main characters are not who they think they are. 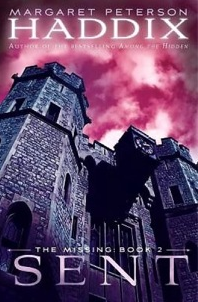 In the second book, Sent, Chip, Alex, Jonah, and Katherine land in 1483 in the Tower of London where the imprisoned Edward and Richard fearfully await their fates. Chip and Alex soon realize that they are princes Edward V and Richard of Shrewsbury, Duke of York–come back from the future. They watch history unfold, trying to save the princes without altering time in a way that would kill them anyway. This book is rich with accurate historical details that bring the setting and characters to life. It also poses a unique possibility regarding the actual fates of Edward and Richard. 5 Movies that Put the FUN in Dysfunctional Holidays! John McClane’s (Bruce Willis) Christmas Eve is way worse than anybody’s holiday could ever be. Alan Rickman. Need I say more? Baddass Bruce tormenting bad guys, as only he can. Yippe Ki Yay mother **cker! Best action film line ever! Especially when delivered with Baddass Bruce snark. 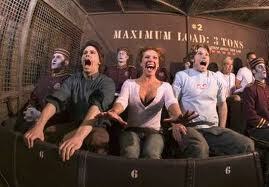 High intensity fun with a happy ending. 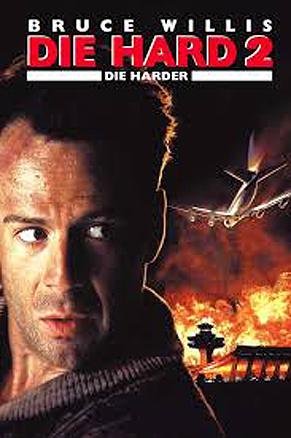 John McClane, officer of the NYPD averts disaster as rogue military officials seize control of Dulles International Airport in Washington, D.C. and save his wife Holly who is on one of the planes attempting to land. Yes, this is my second favorite holiday movie. Which I usually watch right after the first Die Hard movie. Gotta keep the adrenaline pumping. This story is also set on Christmas Eve. The bad guys are new and the technical tactics have gone up a notch, or 10. Bruce is his same baddass self. More high intensity fun with another happy ending. In the near future, a computer hacker named Neo discovers that life on Earth is nothing more than a virtual reality — The Matrix — created by intelligent-machines, so they can farm our life essence and dominate the “real” world. 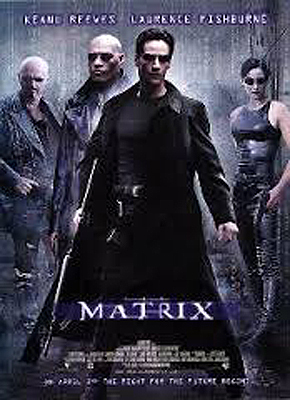 Neo joins like-minded Rebel warriors Morpheus and Trinity to overthrow The Matrix. This movie has nothing to do with the holidays. At all. A lean mean Keanu Reeves and kickass Carrie Anne Moss. Take your pick. Awesome martial arts fight scenes, and slick dodging of bullets. Your relatives probably won’t want to watch this movie with you. When Vianne (Juliette Binoche), a mysterious stranger, and her child arrive in a tranquil French town in the winter of 1959, nobody expects the impact she and her daughter will have on their community which is stubbornly rooted in tradition. Vianne has the audacity to open a very unusual chocolate shop right across the square from the church. Then her unusual ability to perceive her customers’ private desires and satisfy them with just the right confection coaxes the villagers to abandon their straight-laced ways. The resident nobleman and self-appointed leader of the town fears Vianne is ruining his town, and forbids anyone from entering her shop. He is hoping to put her out of business, and drive her away forever. And it almost works. But the handsome gypsy, Roux (Johnny Depp), arrives and joins forces with Vianne to liberate the town. A dramatic confrontation ensues, ultimately changing the town, and the people’s hearts, for the better. The idyllic French country town magically whisks you away and suspends disbelief. Juliette Binoche and Johny Depp. Your choice. Rigid traditions fall away in favor of new ways that free the spirit of the town’s people. You’ve gotta love that! Did I mention Johnny Depp? He plays a twelve string steel guitar. For reals! The theme of inclusion as a positive force and exclusion as a destructive force hits the right note. Right before Christmas, shy New Orleans cookware sales clerk Georgia Byrd (Queen Latifah) receives the news that she has less than a month to live. This harsh reality causes Georgia to rebel against her timid life. She hops on a plane, jetting off on a dream vacation, living like there’s no tomorrow — because for her there isn’t. Georgia succeeds in shaking up a glamorous European resort spa, commanding the attention of senators and hotel staff alike! LL Cool J, Georgia’s handsome suitor in New Orleans, chases after her for a surprise happy ending. Queen Latifa is a hoot-and-a-half. Great lines all around. The supporting cast (Timothy Hutton, Gerard Depardieu, Alicia Witt and Giancarlo Esposito) are all laugh-out-loud funny. The beautiful Eastern European mountain setting! This movie is deep with meaning and big on heart. It’s a great reminder about what’s important in life. Don’t waste your energy on your annoying relatives. Watch another movie instead! Do you have any movies to add to this list? I hate to admit it, but I was. Stuck on the infinite spin cycle of life, that is. Then I realized that we’ve all been there. I mean, who hasn’t been stressed out, not knowing *how* we’re going to pull everything off without a hitch … and giving up is so NOT an option? Yeah, I thought so. Because that’s pretty much life. In this decade anyway. But instead of wallowing in self-pity, I decided to do something to pull myself into a positive frame of mind. Hence this post. And during the process of writing (which did the trick by the way! ), I remembered a few sure-fire tricks for turning my perspective around. 2. Not to go all Pollyana … but making a list of things you’re *glad* about totally helps. I know. It sounds trite, but by the fourth item I’ve stopped focusing on the things that aren’t right and start seeing the things I’m grateful for. 3. 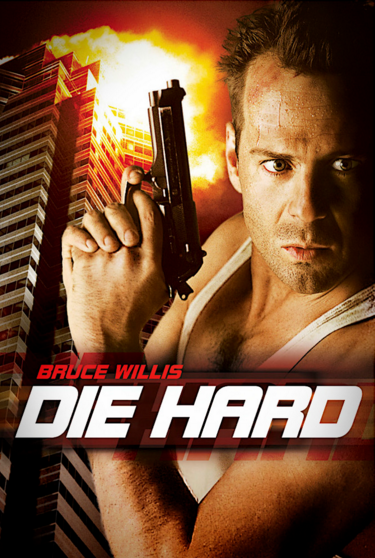 When life kicks it up a notch, from spin to heavy-duty agitate, try watching an intense action film … like DIE HARD. The characters in those movies are always having a much worse day. Unless you’re outsmarting trigger-happy terrorists, crawling through disgustingly dirty air ducts, and running over broken glass in your bare feet … I’m thinking your day is GREAT compared to John McClane’s (Bruce Willis in DIE HARD). 4. 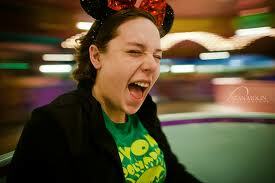 Break out of your routines and do something extraordinary, maybe even succumb to downright silly fun. 5. Remember that the first rule to being happy is not to sweat the small stuff. The second rule is to realize that it’s all small stuff! Because when you get right down to it … it’s all about perspective. What tricks Do you use to keep a positive outlook? That is, until Buffy the Vampire Slayer! Buffy was a new breed of badass … the Femme Phenom. (As in, phenomenal. Come on people, keep up.) Joss Whedon created Buffy, because he was tired of the pathetic female characters in horror films who maybe screamed before letting themselves get killed. So not Buffy. She saved the world. A lot. And always did it with a witty quip, while rocking the hottest fashion. She wasn’t just tough, she was feminine and had depth of character. Buffy continues to save the world, as Emmie Mears so aptly points out. I mean, would there have been a Trinity (of The Matrix series) if Buffy hadn’t blazed the Femme Phenom trail? Not to mention the other terrific Femme Phenoms, in fiction and film? 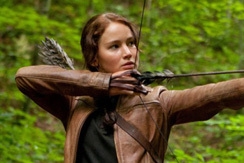 Take Katniss Everdeen of the Hunger Games (the heroine of the uber-popular book series, now a movie), an awesome Femme Phenom. She’s strong physically, mentally, and emotionally. She has to be to survive the horrific Hunger Games. Check out May the Odds Be Ever in Your Favor, if you haven’t read the books or seen the movie. 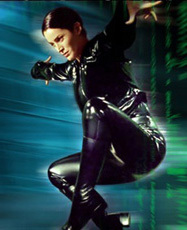 So… in honor of Buffy, Trinity, Katniss, and all the other hot badass chicks, I declare this National Femme Phenom Week! And to celebrate, I’ll be hosting a phenomenal giveaway! A book with a truly badass Femme. You won’t be disappointed. Promise! Sign up to follow this blog so you don’t miss out! At least … during National Femme Phenom Week! So, tell us … who’s your favorite badass … in film or fiction? And for the record, badass guys are a total hot commodity in my book.